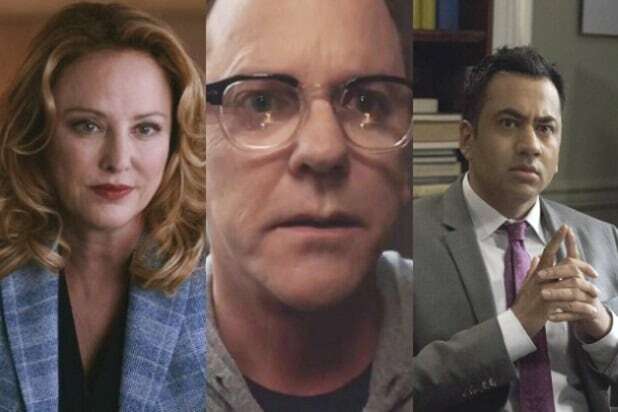 Now that we’re nine months through 2017, “Designated Survivor” is exceptionally depressing. That’s a compliment. “Designated Survivor” isn’t a depressing show in the normal sense. It’s just depressing in the current cultural context, with its fictional presidential administration serving as a severe contrast to the actual presidential administration we’ve been horrifyingly saddled with in real life. It’s the most topical show going. It’s real. Though it may be too real at this point. This is a topic we’ve discussed here previously, describing the show as an “antidote” to Trump’s presidency. 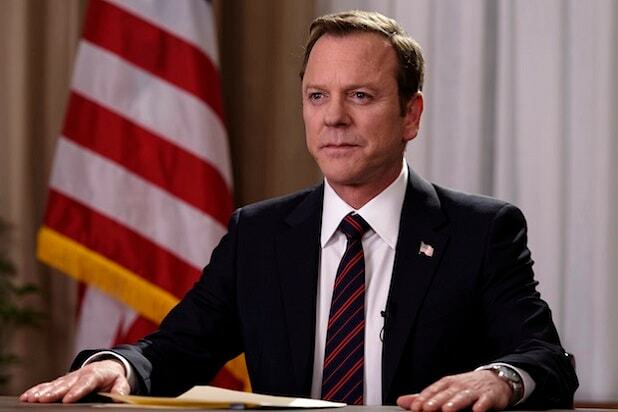 Whereas Trump constantly tramples all over what have always been considered (at least outwardly) our collective ideals as Americans, Kiefer Sutherland’s President Kirkman fully embraces our stated American values and makes them work inside a hyperpartisan political maelstrom. Season 1 felt like a sort of catharsis, as we were coming to grips with our new reality. But we’re well past the “coming to grips” stage of this coping process. The Trump administration has consistently been as bad as or worse than we expected, and the joke isn’t funny — reaching a new low this week as Trump neglects Puerto Rico in the wake of Hurricane Maria, which given the dire situation on the island may contribute to the deaths of American citizens. So when I watched the season 2 premiere of “Designated Survivor” I didn’t really feel good as I saw this fictional president deftly navigate a terrorist hostage crisis. No, I was mostly just mad as I considered all the ways Donald Trump and his clownshow administration would have totally screwed it up and probably gotten a bunch of people killed. The situation this week is that Ukrainian terrorists have hijacked a commercial airliner as it sat on the tarmac in Chicago. The airliner was supposed to be bound for Russia, and thus had a bunch of Russian citizens aboard — and the terrorists aims were to use the passengers as hostages in order to force the Russian military to cede Crimea back to Ukraine. Neither Russia nor Ukraine were interested in defusing the situation — Russia wanted an excuse to invade the rest of Ukraine and Ukraine also wanted a Russian invasion so they could draw attention to what Russia has been doing to them for years. An extra wrinkle in the whole thing was that Kirkman’s former best friend also just happened to be on the plane, but they’d been estranged for long enough that their relationship wasn’t public knowledge. So Kirkman kept that factoid to himself in hopes that it would prevent the terrorists from finding out and using his old pal as a bargaining chip. And it worked! Even though I know Trump doesn’t have any real friends, through this whole scenario I couldn’t help but think that if some old pal of Trump’s had been taken hostage in a similar situation he would definitely tweet about it. He would have zero appreciation of the tactical situation, and would want everyone in the world to know that he knew a guy who was being held hostage to score sympathy points. Kirkman, meanwhile, managed to defuse the situation by making the correct threats based on correct inferences — that Russia had actually supported the terrorists clandestinely and that Ukraine was letting it happen as a high risk, high reward tactical move. Trump, on the other hand, gets his intelligence reports from Fox News (a fact that might actually prevent him from learning his old buddy is a hostage), and so there’s really no telling what he would do or who he would threaten or what threats he would make. Though it would probably be safe to assume that he would probably threaten people who have nothing to do with the situation, like the plane manufacturer or obstructionist Democrats in Congress. There was one smaller situation in the season 2 premiere that I feel like I should mention: when Kirkman meets with an anti-government author who has fiercely criticized his administration. Kirkman is like “Hey, buddy, keep doing what you’re doing because harsh but legitimate criticisms keep me honest.” Whatever action you can imagine as the opposite of that is probably pretty close to what Trump would do. I could go episode by episode through the series doing this but, ugh, I’m already miserable enough. In any case, there’s another item to add to the (bottom of the) list of Trump’s offenses against humanity: damaging my ability to enjoy “Designated Survivor,” a show I really like.